The production of automobile seats is the most labor-intensive job in the production of automotive parts and requires a large number of workers. Sewing machines are only equipment required for the production of automobile seats that mainly requires manual work. That is why the wisdom of people is essential to the production of automobile seats. Tokai Trim's bright and vibrant production sites gather the wisdom of its employees to produce high-quality products. The wisdom of people will continue growing Tokai Trim and its employees. We are in pursuit of maintaining high-quality production sites that will prompt more customers to place orders. Tokai Trim aims to make its production sites serve as high-quality bases that will continue growing. 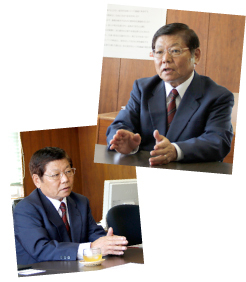 Tokai Trim came into operation in Suzuka, Mie Prefecture, a center of the automobile industry, in 1971. Since then, Tokai Trim has been continuing a steady growth as a vehicle seat manufacturer centered on four-wheel vehicle seats, and consistently covering all production stages, ranging from the sewing stage to the cutting stage of four-wheel vehicle seats. Tokai Trim’s production is based on manual work. The sewing of seats is the only process that cannot be automated among the production stages of a large number of automotive parts, and indeed, Tokai Trim’s work is the origin of manufacturing. Its motto is “Working thoughtfully,” based on which each employee carefully think of what can and should be done to manufacture products of higher quality, thus flexibly reviewing and improving their work. Tokai Trim’s technology, which has been steadily built up, has led to the trust of major automobile manufacturers on Tokai Trim. At present, Tokai Trim has expanded its production facilities in China, Vietnam, and Thailand as well as its domestic plant facilities in Suzuka, Saitama, and Yamagata. Each production base has been performing the horizontal development of technology, which has made it possible for each domestic and overseas production base to achieve high technology and production output. 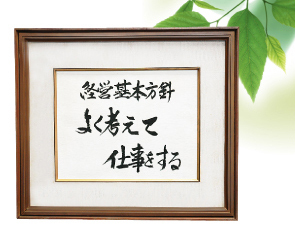 As a result, Tokai Trim can provide products stably even in case of emergency, such as a natural disaster. In recent years, under the recognition that each production base is sales headquarters, Tokai Trim is focusing on making high-quality production sites that will prompt more customers to place orders. Tokai Trim is in pursuit of facility and equipment improvements to organize the production sites where the attitude of each worker looks attractive so that each plant can serve as a showroom emphasizing Tokai Trim’s high-quality production. Tokai Trim will continue making further improvements in its production sites and showing a presence in the rapidly changing automotive industry. Copyright(C)2012 TOKAI TRIM.CO.,LTD. All rights reserved.